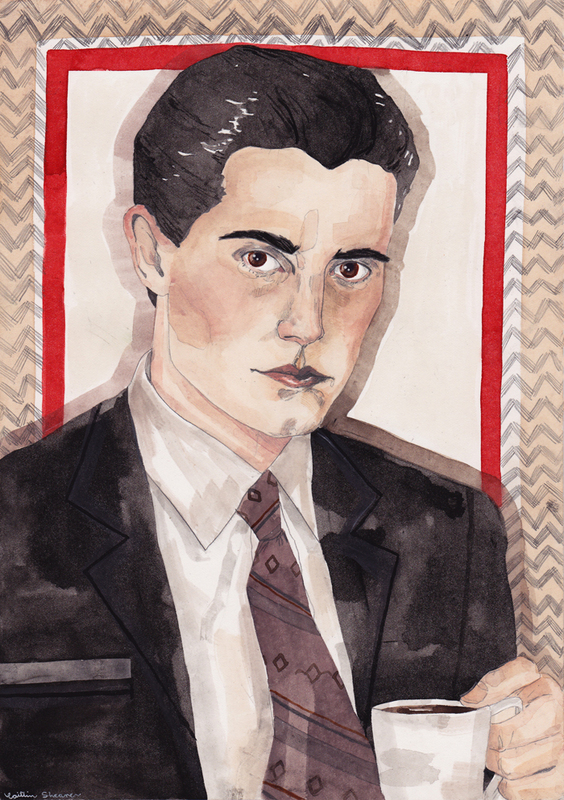 oh i totally love dale cooper! Love, love, love! Are you going to make a print of this one? Thankyou Talisa! I'm so fond of your blog so that makes me smile. I hadn't planned on making prints of this one because my online shop is pretty full...but i do take requests for custom prints. that is wonderful - it looks like you're having alot of fun painting. keep it up! I just read one of the comments about doing custom prints? Would one of this one be available? I just finished a little post about Twin Peaks because, well, look at him! sorry, i'm not doing custom prints at this very moment because i have an overflow of excess stock in my online shop and need to sell some of that before i go back to custom prints.